The Capital Barbie: I'm on the IT List!!! 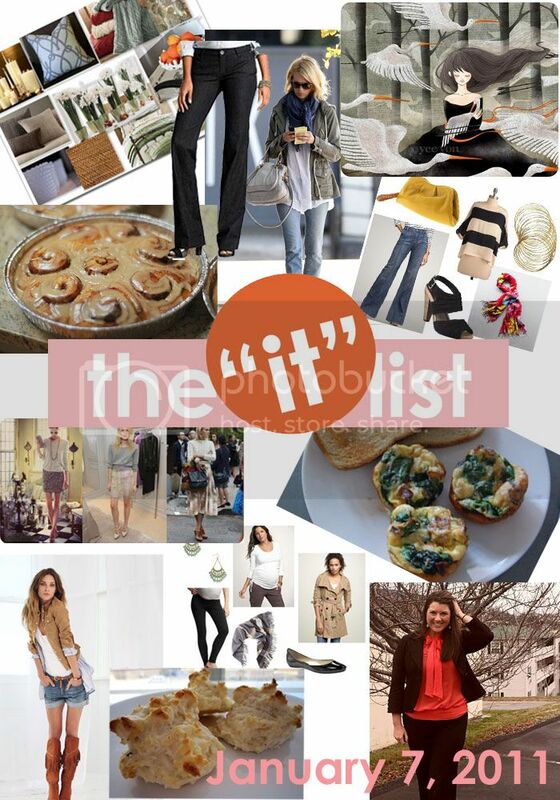 Welcome back to 2011's first installment of the IT list... and it's a great start to the New Year for sure! There are some great new additions to the list and a few standbys as well! Take some time to visit each of these amazing blogs! one hundred inspirations starts the New Year right with this simple but stylish look from January Jones, all on an affordable budget, of course! the hillside home did her homework and found us the most mouth watering cinnamon roll recipe out there... mmmm, a perfect winter treat! good tots! pulls together the ultimate maternity outfit that exudes comfort and style. The perfect combo! much to my delight resolves to eat better breakfasts each morning (I can relate to that!)... and these delicious, healthy and simple mini-frittatas makes the resolution look very tasty! Yay!!! Good for you!!! Awesome honor!! HECK YEAH!!! Congrats & well deserved little lady! Stylish blogger AND on the IT List! Wahoooo! :) Have a great weekend! Congrats!!! That is really exciting! woo-hoo! congrats girl:) you've hit the big time for sure!! yay!